I don’t know about you but I am constantly hearing people talking about how much they hate the “princess” phenomenon. Having a little girl I am definitely bombarded by all things pink and sparkly. While I don’t admit to enjoying these types of toys myself I don’t think they are the evil they are made out to be. I don’t believe they give my daughter an unrealistic view of the world. She is aware of the fact that princesses in the way they are presented to her aren’t real. 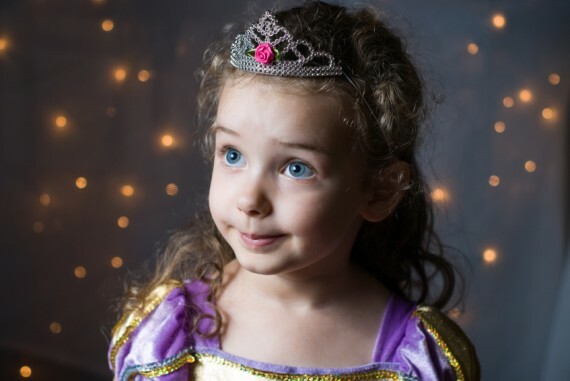 What is the difference between superheroes for boys and princesses for girls? Here is the thing though, I also have a son. Two actually, but one is just now rolling over so he doesn’t know what we are talking about. Anyway, what is the difference between superheroes for boys and princesses for girls? Superheroes teach boys that if they are bitten by the right spider, or exposed to the right radiation that they can mutate into a person with unreal powers. Some superheroes are just born that awesome, able to fly, or with super strength. And let us not forget the fact that all superheroes (okay not all, but most sold to little boys) are all extremely buff and good looking. How is that much different from princesses making little girls think they should always wear dresses, sparkle, wear makeup, and have a good hair day everyday? Not much when you truly think about it. It’s not just hard to be a little girl these days, but it’s also hard to be a little boy. I suggest that we don’t worry about the things that our kids learn from princesses and superheroes and just let them be kids. They have such a short time in their lives when they can believe in the impossible and imagine themselves as something out of this world. We all did it as kids, and most of us turned out okay!